In the late 1920s thousands of immigrants headed west to set up homesteads in the southern Great Plains. The panhandles of Texas, Oklahoma, as well as New Mexico,southern Colorado, and Kansas held vast areas of virgin prairie covered with buffalo grass. The fertile soil was awaiting the plow. In just a few years something would go horribly wrong. Find out what happened and what was done to correct it. For several years things went very well, and homesteaders plowed the land and sowed wheat. They were blessed with bountiful crops with high prices being paid for their grain. In 1930 a drought began in the eastern U.S. In 1931, it moved toward the west. By 1934 it had turned the Great Plains into a desert. "If you would like to have your heart broken, just come out here," wrote Ernie Pyle, a roving reporter in Kansas, just north of the Oklahoma border, in June of 1936. "This is the dust-storm country. It is the saddest land I have ever seen." This is the same Ernie Pyle the legendry journalist who covered WWII several years later. The Dust Bowl got its name on April 15, 1935, the day after Black Sunday. Robert Geiger, a reporter for the Associated Press, traveled through the region and wrote the following: "Three little words achingly familiar on a Western farmer's tongue, rule life in the dust bowl of the continent - if it rains." The term stuck, spreading to radio broadcasts and publications, in private letters and public speeches. On April 27, 1935 President Franklin D. Roosevelt signed into law the Soil Conservation and Domestic Allotment Act. Throughout Texas, Oklahoma, Kansas, Colorado, and New Mexico, during the early 1930s, high winds stirred the arid soil, loosened after years of rapid homesteading and commercial agriculture. 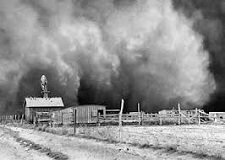 Nearly 180 dust storms ripped across the southern plains during 1933, a prelude to the major storm of May 1934, which whipped an estimated 350 million tons of earth into the sky. It trapped people in their homes and suffocated cattle on the plains. Dust fell like snow in Chicago and eastern cities. Sailors on ships 300 miles off the Atlantic coast swept Kansan soil from their decks. Similar storms plagued America's center well into 1935. In response, western House Democrats introduced a bill, "to provide for the protection of land resources against soil erosion, and for other purposes." The Soil Conservation Act rewarded farmers who planted grasses and legumes to support the soil, rather than commercial crops which exhausted its nutrients-a difficult measure for many farmers to agree to during the Great Depression. 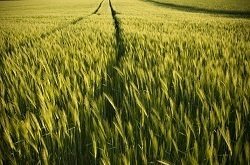 The act, however, classified commercial harvests like wheat as a threat to the plain's soil, giving farmers a chance to wean their fields from surplus crops at the federal government's expense. While the act appropriated no money upfront, it left open the option to fund projects with "such sums as Congress may from time to time determine necessary." 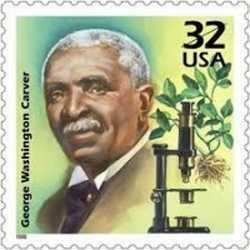 The Soil Conservation Service (SCS) enlisted the help of agricultural reformers such as Hammond Bennett, a soil scientist with the U. S. Department of Agriculture, who took on the challenge and came to be regarded as the father of soil conservation. Several facets of Bennett's personality and background suited him to the role of crusader. First, he had the understanding of the problem due to experience; he grew up in North Carolina, in one of the more erodible areas of the state. 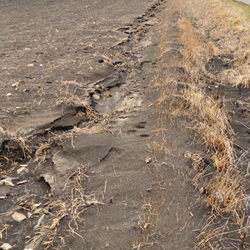 In his work as a soil surveyor, and later as supervisor of surveys in the South, he saw the effects of erosion and its impacts on agriculture. By the 920s, he was actively trying to do something about the problem. He introduced practices such as the hillside plow and horizontal plowing.' More often called contour farming these days, this method of plowing involved running the furrows around the hillside on a horizontal plane, rather than up and down hills. Each ridge formed a little dam to check erosion. He also encouraged such practices as adding organic materials back into the soil, plantings of legumes to replace nitrogen back into the soil; cover crops on fallow plots to prevent soil erosion and to replace nutrients. 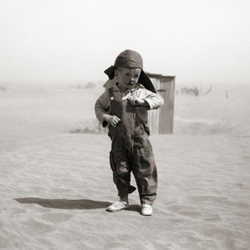 The rest is history and the area once called the "dust bowl" is now known as the "world's breadbasket." The Soil Conservation Service is still in existence today some 77 years later aiding citizens. In 1994, SCS's name was changed to the Natural Resources Conservation Service (NRCS) to better reflect the broadened scope of the agency's concerns. In doing so, Congress reaffirmed the federal commitment to the conservation of the nation's soil and water resources. Almost every county in the U.S. has a Soil Conservation District under the auspices of the NRCS. They maintain soil maps of the county with many hosting tree sales in the spring offering many types of trees to residents at great prices. Stop by and tell the agent thank-you for all they do.